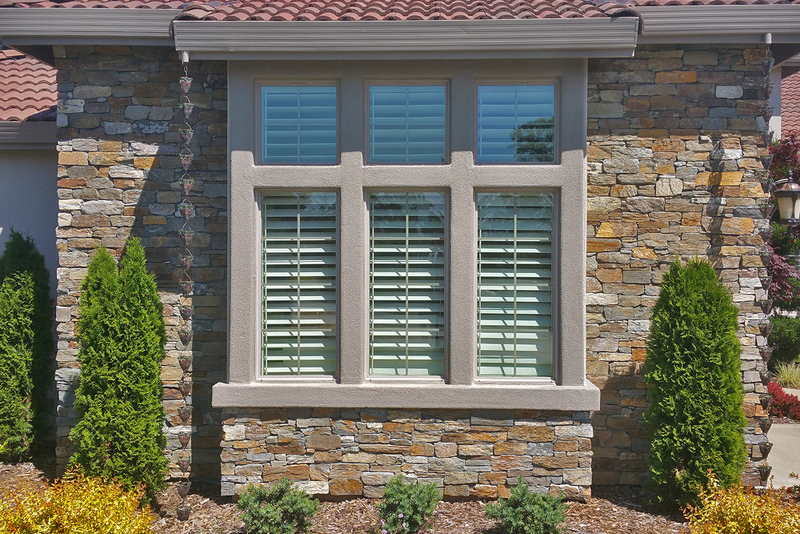 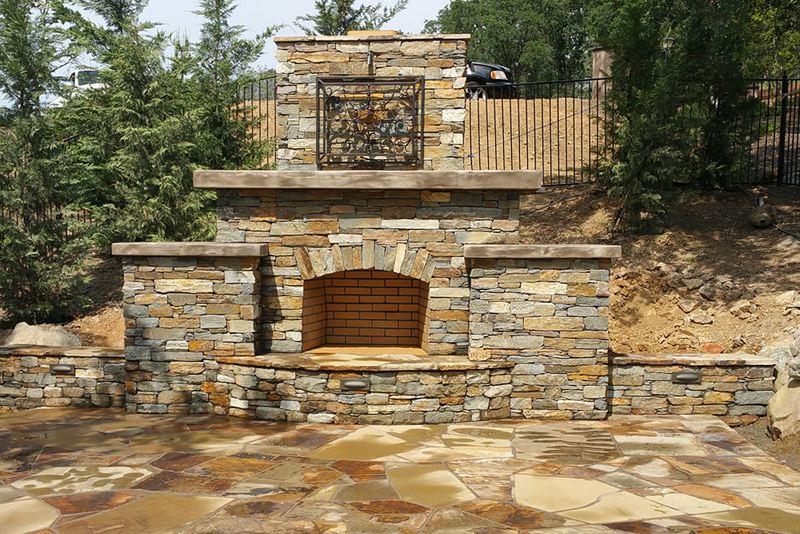 If you are looking for the ultimate in luxury outdoor living, this Sydney Peek natural ledge stone hardscape design and fireplace has what you are looking for. 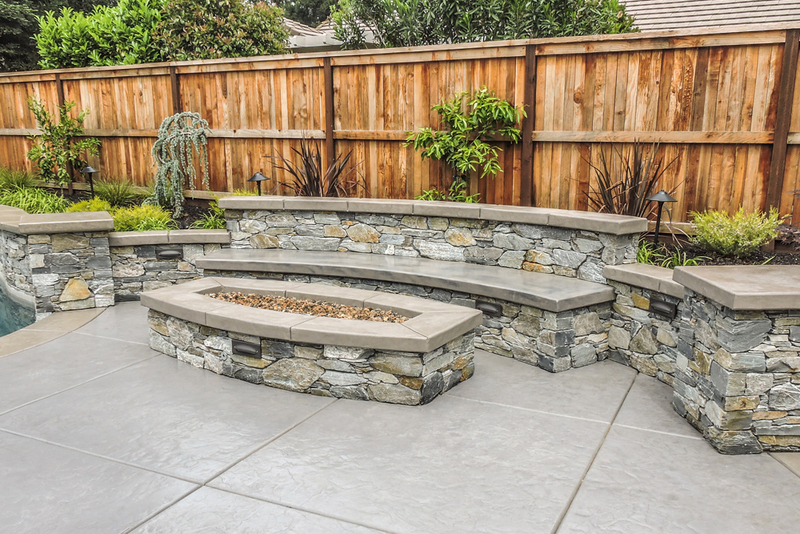 This gorgeous design is proof that retaining walls can be as gorgeous as they are functional, and that fireplaces are just as much about artistic style as they are about cozy warmth. 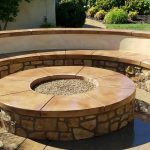 If landscaping is outdoor design that has to do with things that grow in the land, hardscaping is outdoor design with things that are, well, hard. 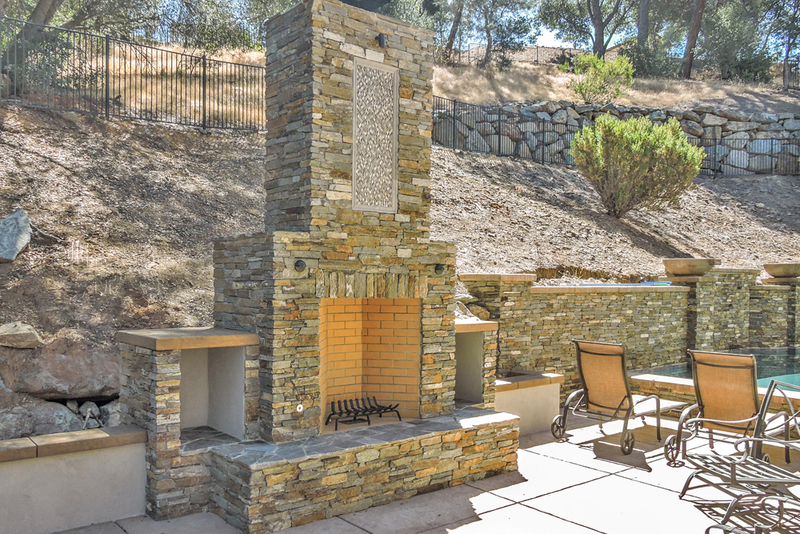 This includes everything from concrete to decorative rock such as the stones used in these walls and the fireplace. 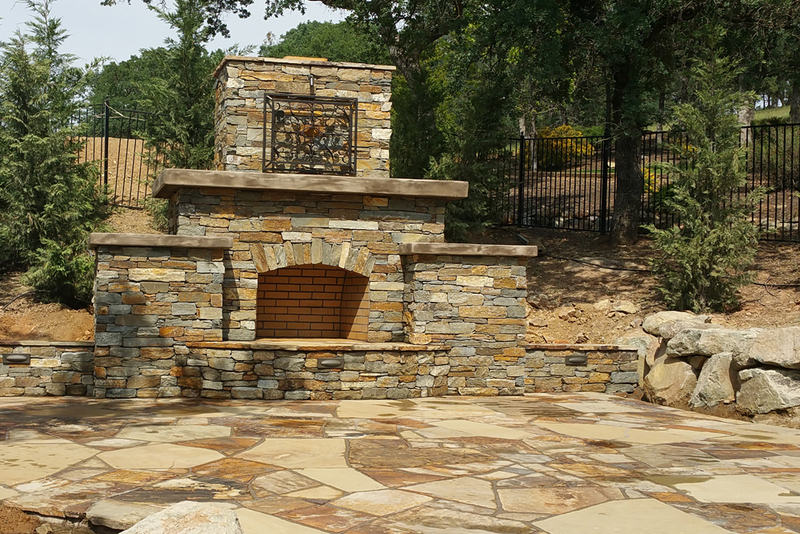 If you ever want to have a patio, a fireplace, a pool, or anything permanent at your Sacramento home, it is best to start with your ideal hardscape design before beginning to work on your landscaping. 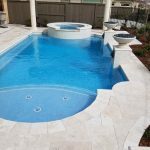 Plants can be moved and landscaping can be rearranged, but it is simply much easier to design your landscaping around your hardscaping than to have to undo any landscaping work you had already done in order to install your pool or fireplace. 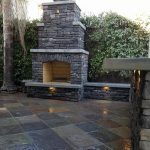 Many people think of hardscaping as being something that makes a backyard too formal, but in fact hardscaping designs can be created to be extremely casual and intimate. 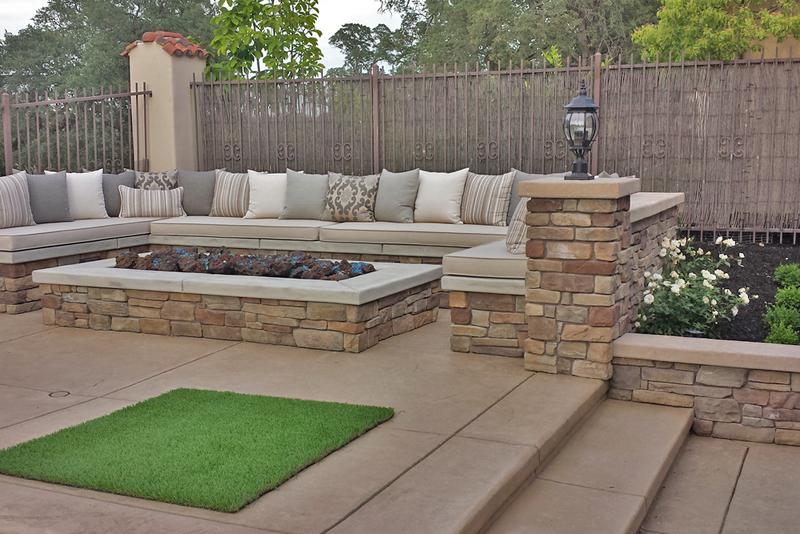 In this luxury outdoor living space, the retaining wall creates a cozy interior feel which is set off by the outdoor fireplace. 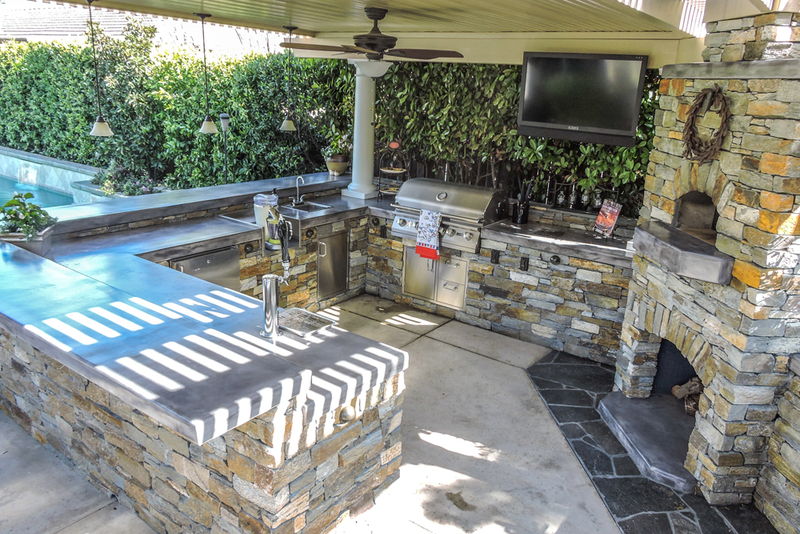 With some outdoor furniture, this would be an outdoor living space where anyone would love to sit and talk to friends or family while sipping a drink and cooking some food on the grill. 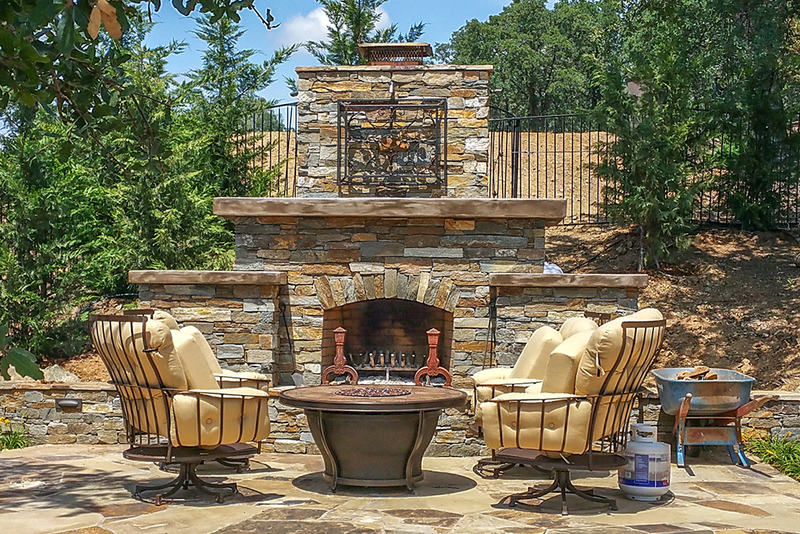 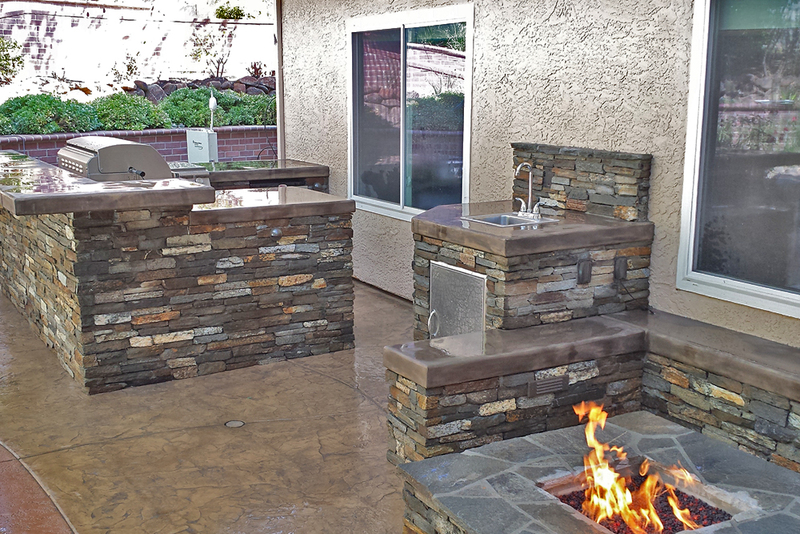 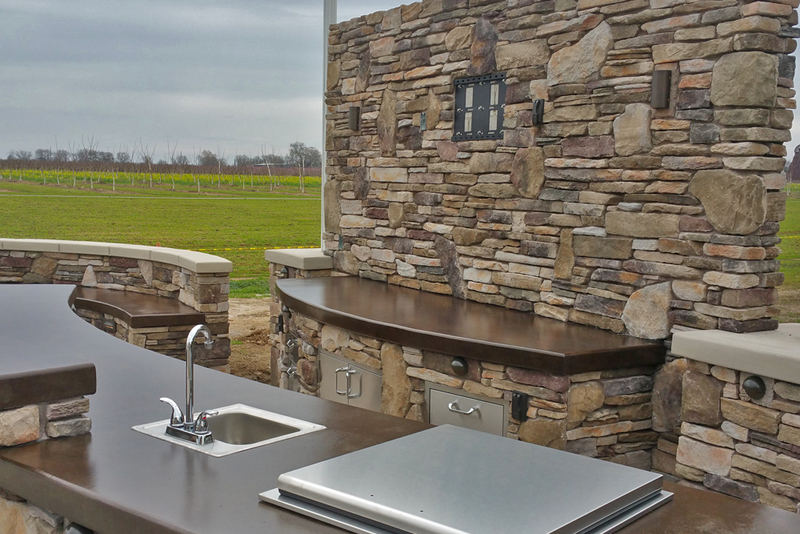 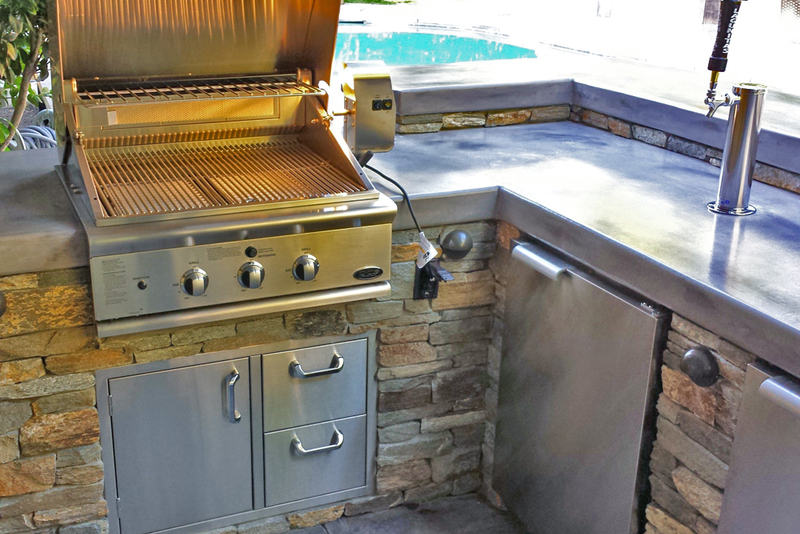 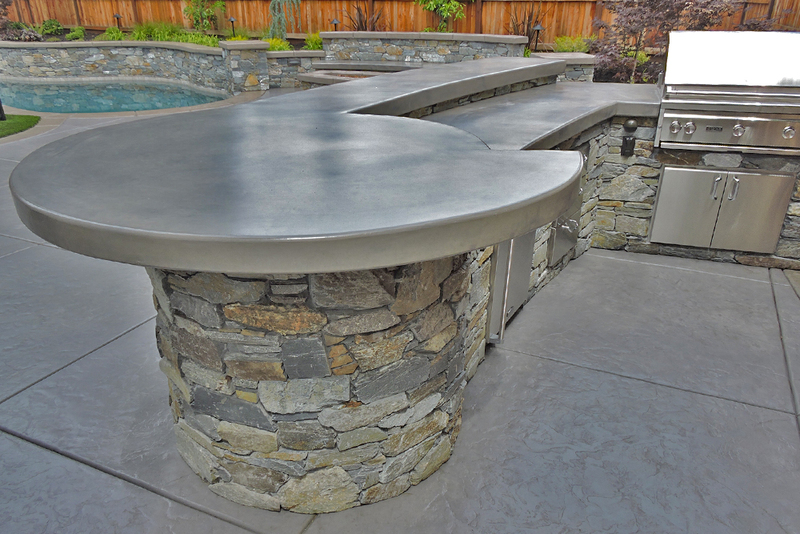 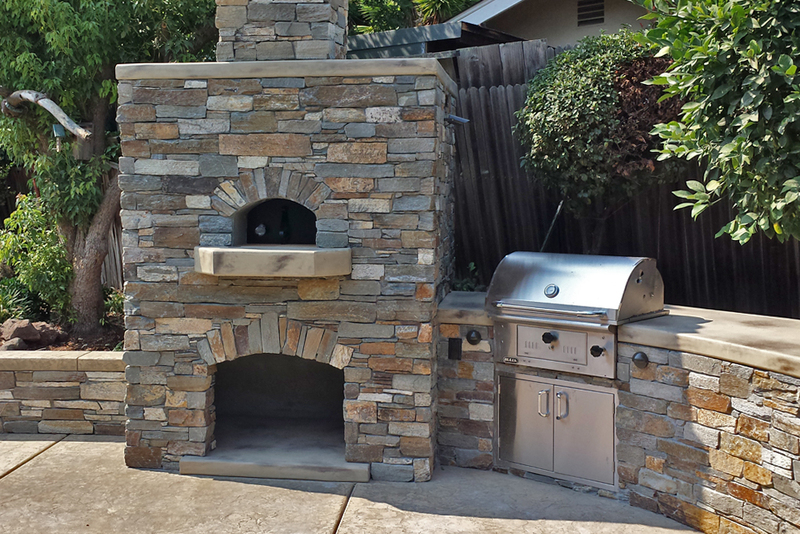 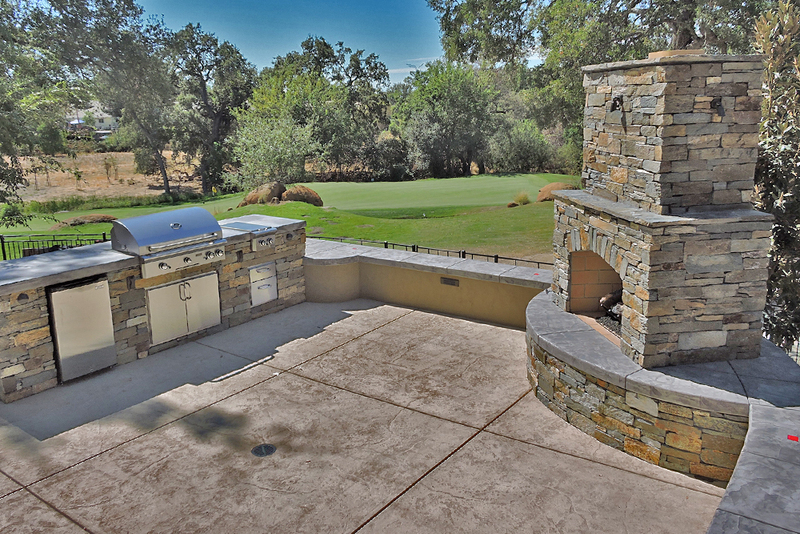 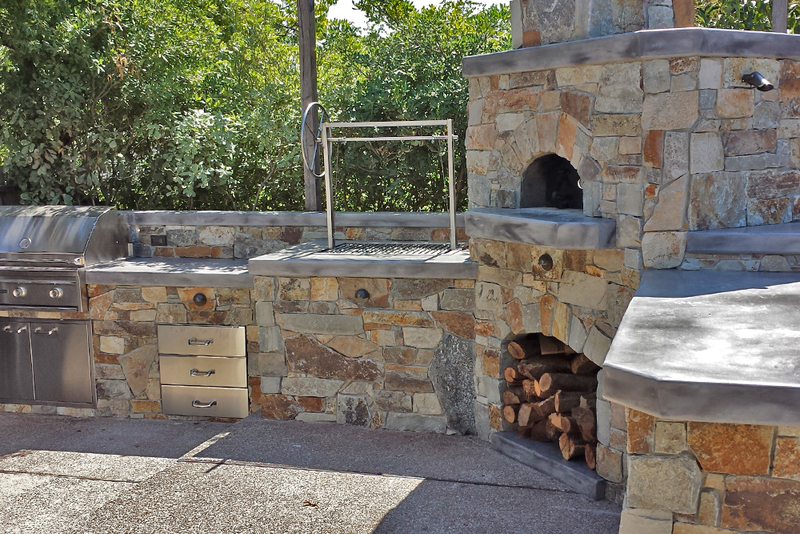 Hardscape design covers everything from patios and walkways to walls, fireplaces, and outdoor kitchens. 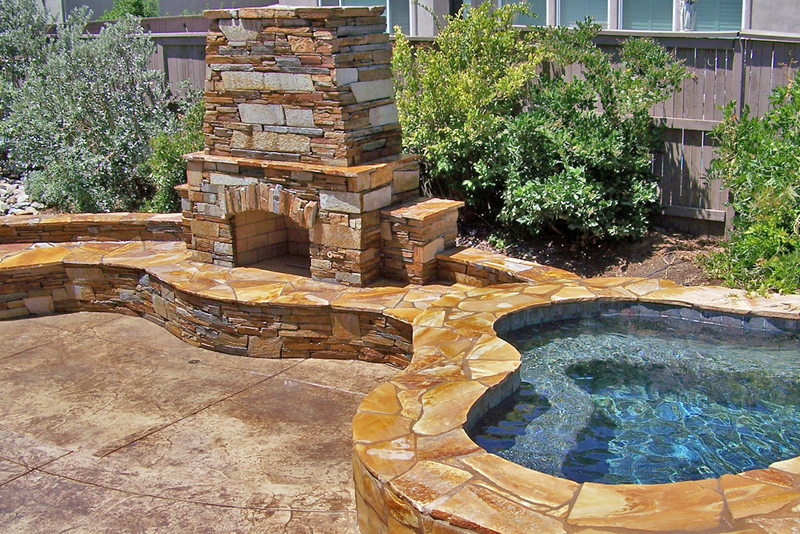 If you are looking for a hardscape design expert in Sacramento, you have come to the right place. 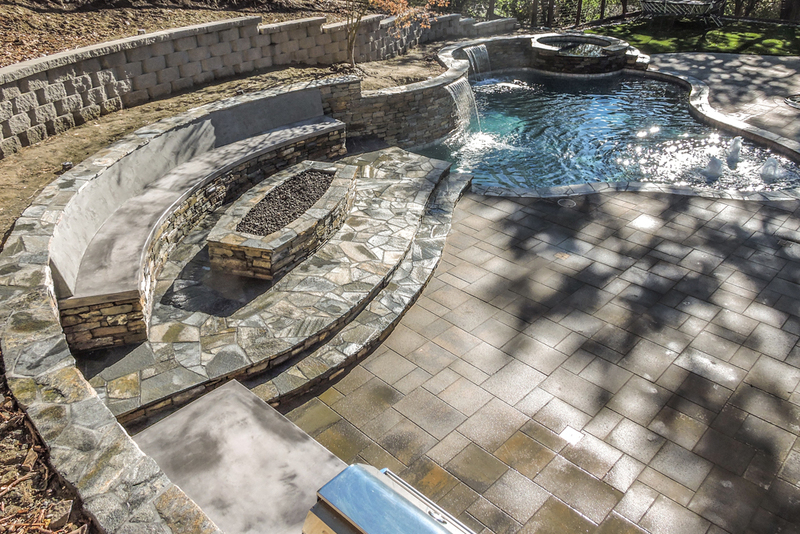 Our team of hardscape design and installation experts are always available to help you come up with the perfect design for your property. 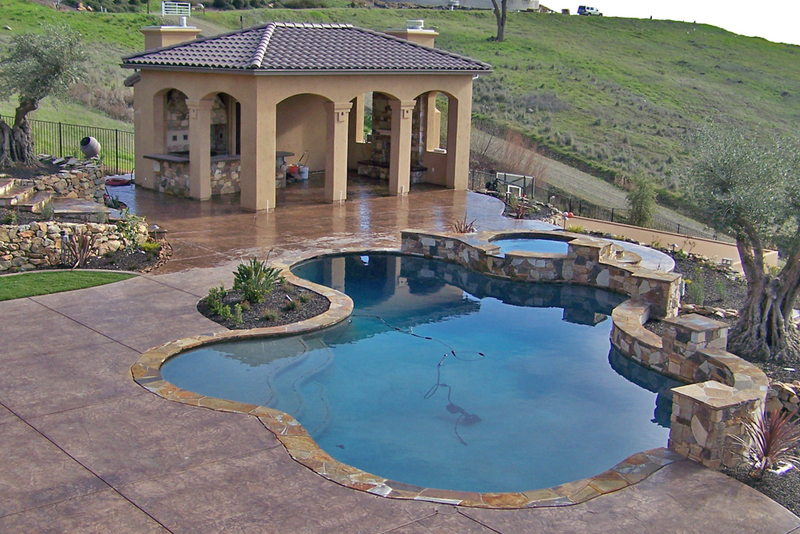 We will work with your budget to help you get the most for your money. 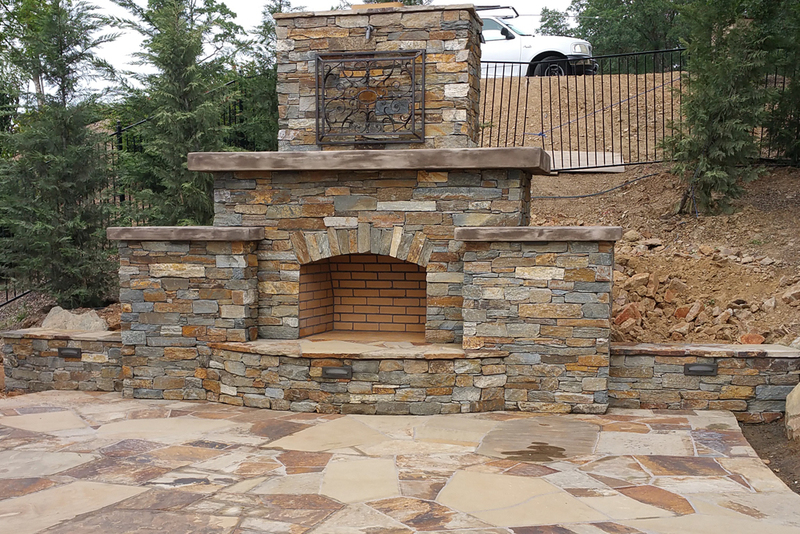 We will also work with the existing features of your property to make sure that your hardscape design is the perfect complement to your home and yard. 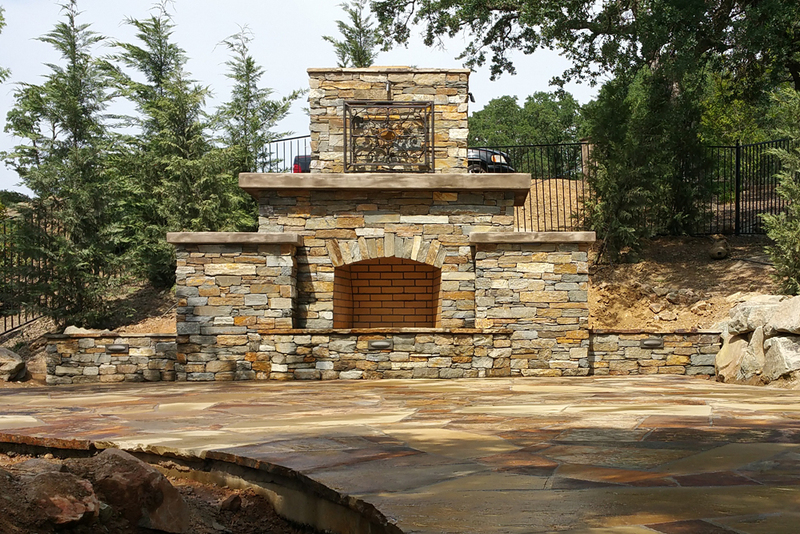 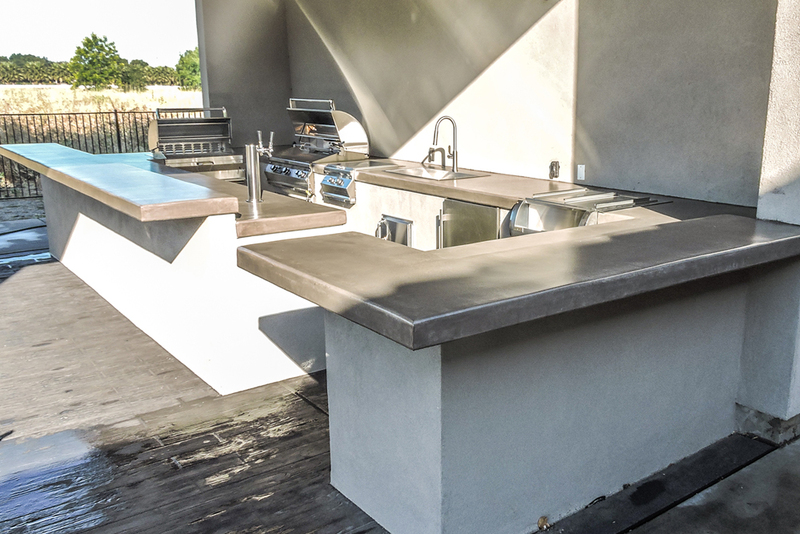 If you are looking for hardscape design, outdoor fireplaces, or outdoor kitchens which look amazing and function even better, give us a call today for a free estimate. 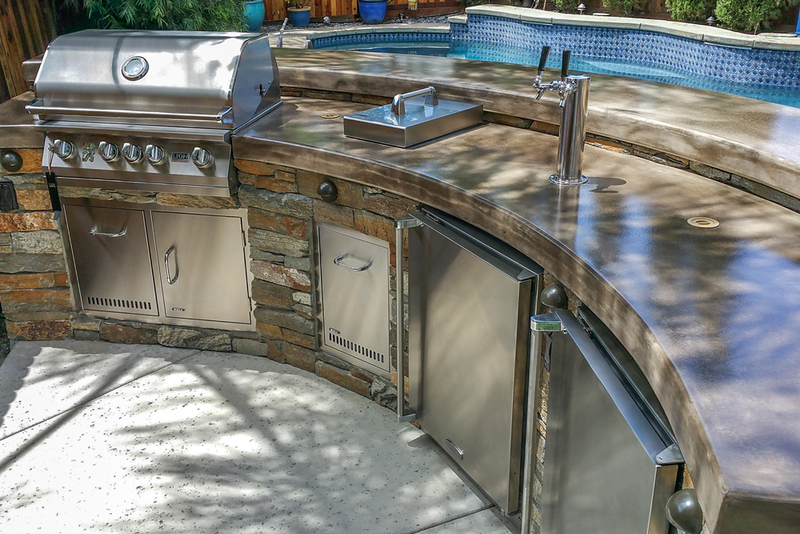 Our talented and committed experts are always available to help you out and to answer all your design and installation questions.